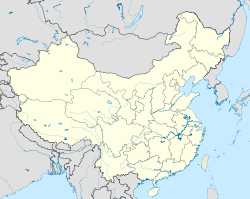 Kashgar Airport (Chinese: 喀什机场; pinyin: Kāshí Jīchǎng) (IATA: KHG, ICAO: ZWSH), also known as Kashi Airport, is an airport serving Kashgar (also known as Kashi), a city in the autonomous region of Xinjiang in the People's Republic of China. 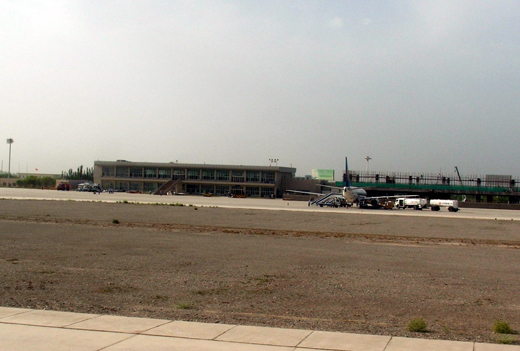 The airport resides at an elevation of 4,529 feet (1,380 m) above mean sea level. It has one runway designated 08/26 with a concrete surface measuring 3,200 by 41 metres (10,499 × 135 ft).